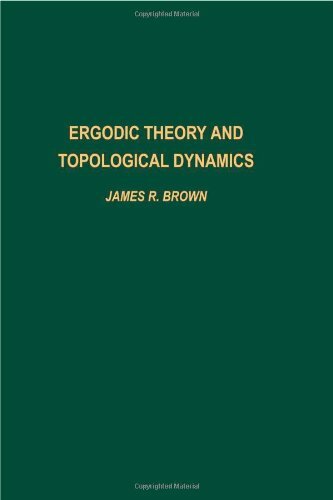 Ergodic theory and topological dynamics / James R. Brown. ENTROPIA; Ergodic theory. ; GRUPOS; MORFISMOS DE GRUPOS; SISTEMAS DINAMICOS; TEORIA DE PROBABILIDADES; TEORIA ERGODICA; Topological dynamics. 10^aErgodic theory and topological dynamics /^cJames R. Brown. ^ax, 190 p. ;^c24 cm.